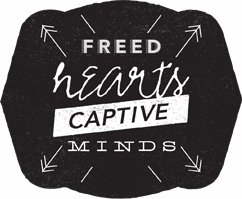 This weekend I had the opportunity to go with a few women to our church’s women’s conference, entitled, “Freed Hearts, Captive Minds”. Since many women I know were not able attend, I wanted to capture a few of the highlights here. Mindy Williams was the last speaker of the day and spoke on a topic called “The Marinade of Your Mind”, mostly covering how fear, worry, and anxiety can become bigger than God in our lives, and what we can do to fight it. Mindy said that if she marinated chicken over night in teriyaki sauce that none of us would be surprised to see and taste teriyaki inside the chicken. The same is true with us. We shouldn’t be surprised that we don’t feel and act out of God’s goodness when we continue to think and dwell on lies about God (found in fear, worry, anxiety). We Imagine. Just as our imagination helps us see and believe in a God we can’t see, our imaginations can be misused to help us see and visualize the object(s) of our fear. How often do we see it all played out without God? We let our thoughts run like wild animals. We either do not try to reign in our thoughts, or we feel powerless to taming them. Both scenarios mean that our fear and worry become larger than God. We read and watch things that feed the wild animals. Even though we want to rid ourselves of fear and worry, we often continue consuming things that help increase them. We talk and have conversations just like atheists. With Christians and non-Christians alike we have conversations around our fears and worries with no mention of God’s grace and mercy. Although the world will tell us to “look inside ourselves” to find solutions, Mindy warned that if we follow this path we will only find lies instead of truth. Instead, we must look to God’s word to give us the proper perspective of our reality. Mindy noted that in 2 Corinthians 10:5 we are told to, “take every thought captive”, and that Philippians 4:8 teaches us to “dwell on what is true”. These instructions require us to rely on God’s word and the Holy Spirit. Capture your thoughts. We must realize our thoughts always spiral down and never spiral up to God. Therefore, we must recognize this tendency and realize our thoughts are often enemies of God. Confess your thoughts to God. As soon as we recognize the “wild animal” of our thoughts, we must confess them to God by reflecting on what we know from Scripture. Claim the Power of the Holy Spirit. Instead of viewing Phillipians 4:13 “I can do all things through him that strengthens me” as a quote made for Christian coffee cups, Mindy suggests that we need to believe and rely on the power of the Holy Spirit. Dwell on what is true. Mindy humorously joked that us women understand how to dwell. However, it just isn’t natural for us to dwell on what is true. 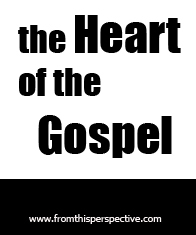 It will require effort, practice, and reliance on God’s word and the Holy Spirit for us to dwell on what is true. Use notecards with scripture to remind yourself of truth. Place these around your house, at work. Move them frequently so you still see them. Be encouragement in each other in conversation. Don’t have conversations like atheists, but always remind each other of truths about God. Pay attention to how you read scripture and pray. Don’t just pray that God would give you joy, rejoice in what God is doing. Memorize a chapter in the Bible, not out of legalism but so that we have something substantial to marinate our minds on, and so that we have this in practical situations when we can’t read the Bible. Take notes at Church/Conferences, write down truths about God, and review it. Repeat over and over taking every thought captive. Thank you so much for sharing those truths with those of us who could not attend. Being a cook, I loved the marinade idea! There is also a balance to be had in what we marinate in. Worship, praise, meditation, memorization…what fragrant spices!